On this day in 1969, the Woodstock Music Festival opens in the upstate New York town of Bethel. The festival lasted from August 15-17, 1969. 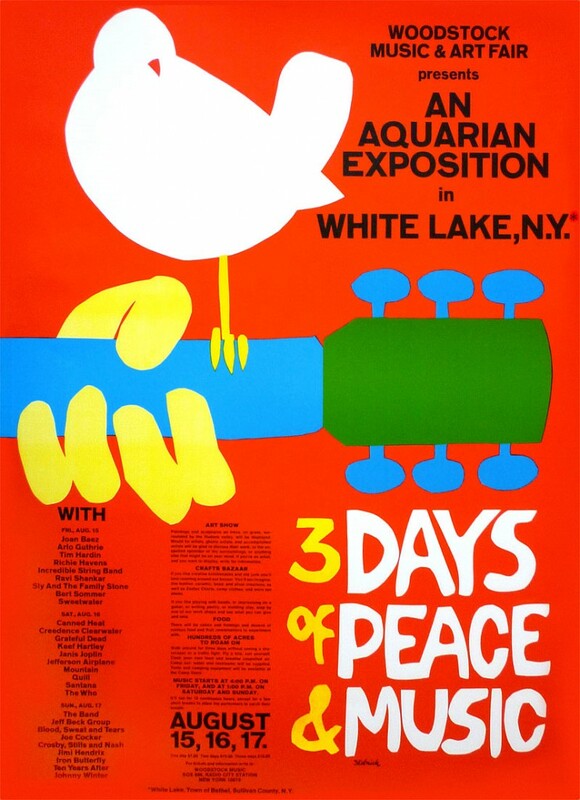 It was billed as “Three Days of Peace and Music” with performances by Jefferson Airplane, the Who, the Grateful Dead, Sly and the Family Stone, Janis Joplin, Creedence Clearwater Revival, Jimi Hendrix, and many more (click here for Hendrix’s guitar performance of The Star Spangled Banner). More than 400,000 people were in attendance when the gates opened.